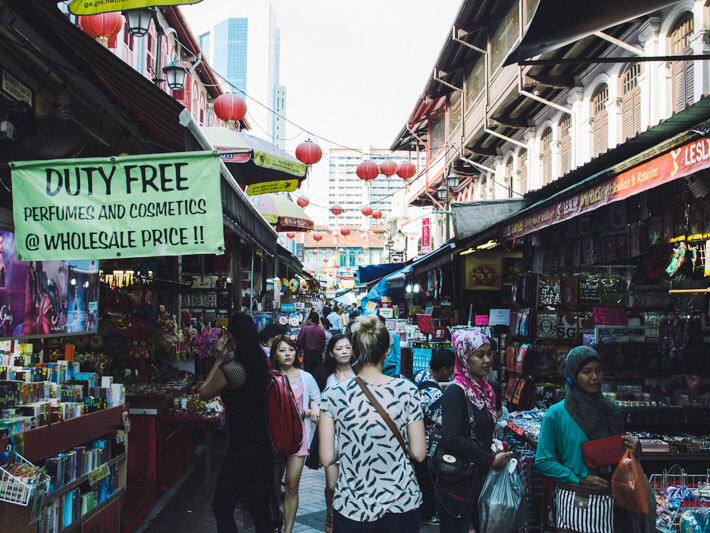 Once we returned from Indonesia, we decided to forgo the high rise hotel area and instead find a hotel in one of the neighborhoods of Singapore to see a different side of the city/state. 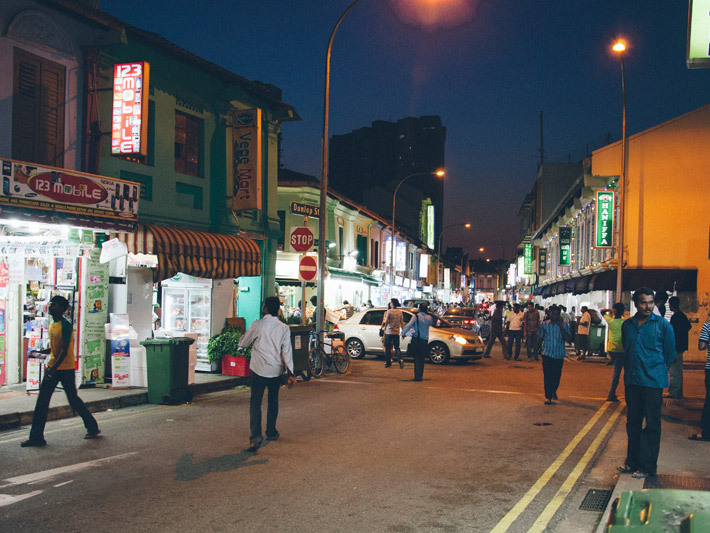 Below are images from mini excursions near our hotel in the neighborhood of Little India. 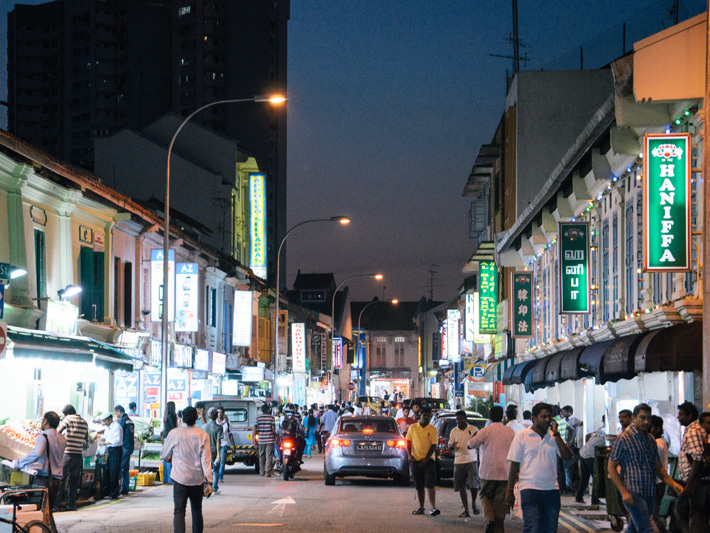 At night, Little India was more lively than just about any neighborhood I've ever been in. The colors were vibrant, the music was loud and the chatter was ongoing. There were people and cars everywhere, even at midnight. These photos are from a walk back to the hotel after dinner in the neighborhood. Thanks to a friend's restaurant recommendation, we had the best Indian food of our entire lives in that neighborhood. We stayed at a boutique hotel, the Wanderlust. Each capsule room is a different Pantone color. If any of you are design nerds out there, you'll understand the nerdy significance of that. Ours was Cyan, and we were pretty infatuated by the color, neon sign and geometric ceiling. We also took a trip over to Chinatown. It's pretty touristy, but still interesting, especially for all the hawker food stands and wide variety of food that you can by no means get in Missouri. As much as I seriously love the Midwest, I don't always love being completely landlocked. 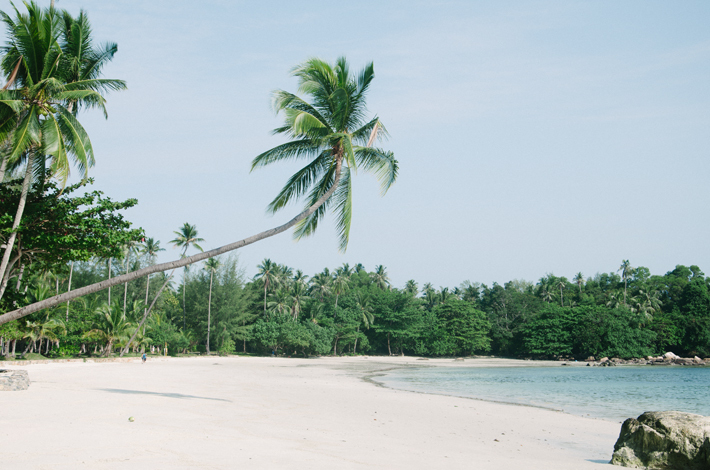 It's not a quick trip to anywhere with a sandy beach and aqua waters. 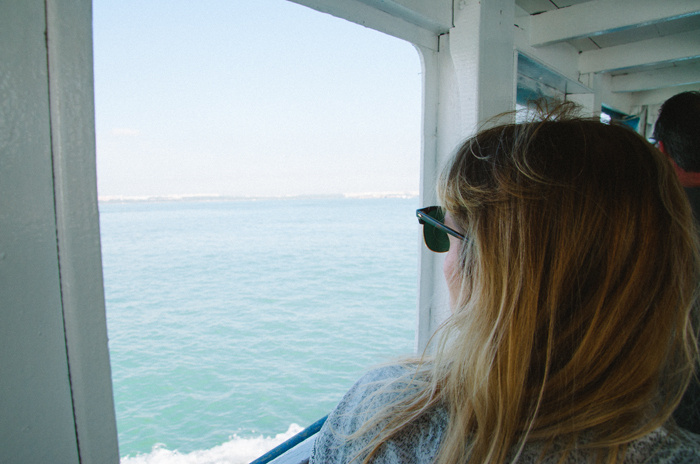 It's unfathomable to me that a beach—and a trip to another country—could be just an hour ferry ride away. 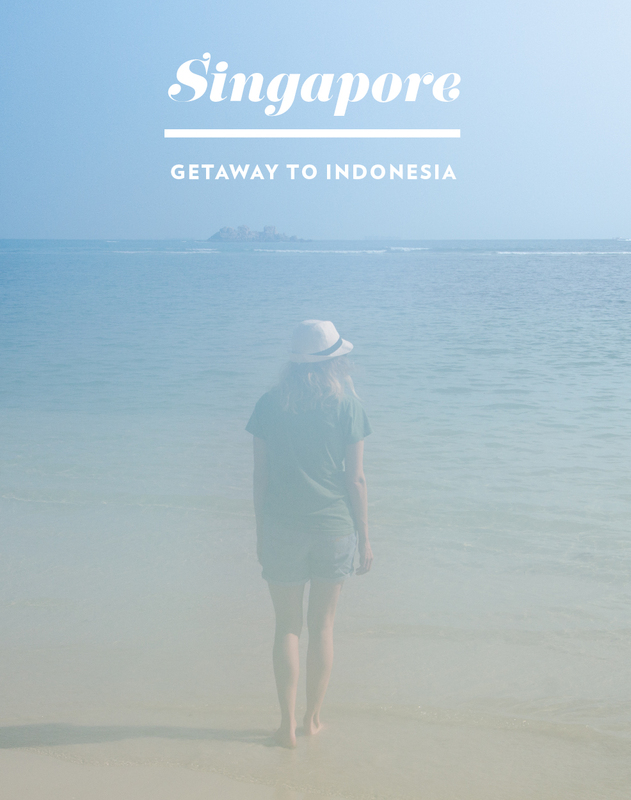 When we were in Singapore and looking to travel away few days, some locals suggested a weekend getaway to Indonesia. It was beautiful and quiet, which made it a perfect respite from the bustle of Singapore. My husband surprised me with a room with beach view. This is the first time in our marriage where we've gotten a room with a view. We must be adults. That palm tree. It must have quite the core strength to lean like that. Lily pads and quiet cabins. Ummm...huts. We're not in Missouri anymore. Our last morning there, we spotted a fisherman silhouetted in the morning light with rays of sun surrounding him. There was something quite magical about the moment. After visiting the Hammerpress letterpress shop a few weeks ago, I've come to the conclusion that I could literally live in their space. 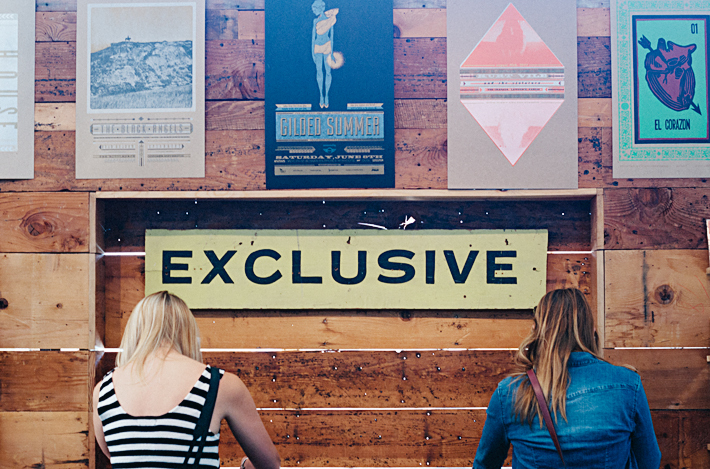 It has industrial vintage modern decor, beautiful letterpress goods, and pretty natural light. Even their bathroom was well-designed with the perfect amount of quirk. I may have to sneak my sleeping bag in with me next time I visit. In fact, Hammerpress is one of my very favorite spaces to visit when I'm in KC. So, I thought I'd share a few photos I took of our trip there. Above are two prints I picked up while visiting. We can always use the No Complaining print as a good reminder in our house, and I couldn't resist representing my love for Missouri with this state postcard. 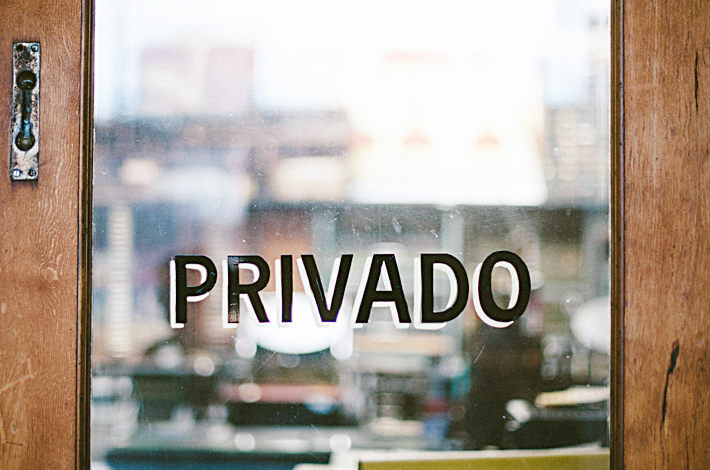 A vintage door with hand-painted type leading to their letterpress area. Swoon. 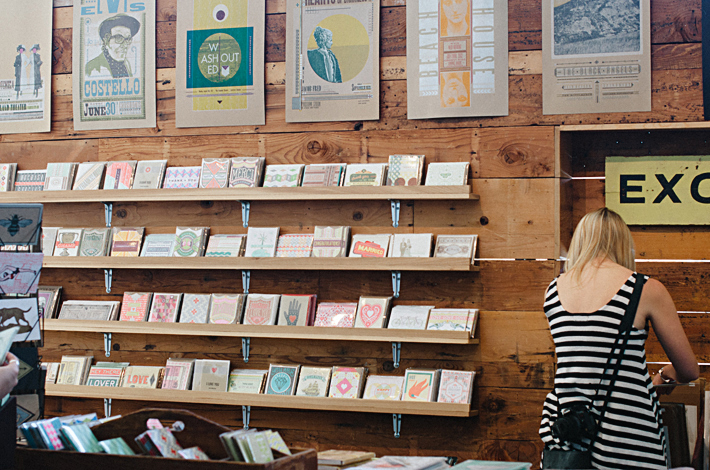 A wall of letterpress cards and posters. There were too many good ones. Decisions were difficult. A vignette of decor and some lovely items for sale. My pretty friend Jenn perusing the shop. Letterpress and old signage. Reclaimed signage, more posters and beautiful, old, re-purposed wood. When I first imagined traveling to Singapore, I envisioned lush flora and fauna and exotic wildlife. I quickly realized Singapore's small footprint means it is mostly taken up by concrete and towering buildings. Luckily, we found a tiny refuge from the concrete jungle for a morning. 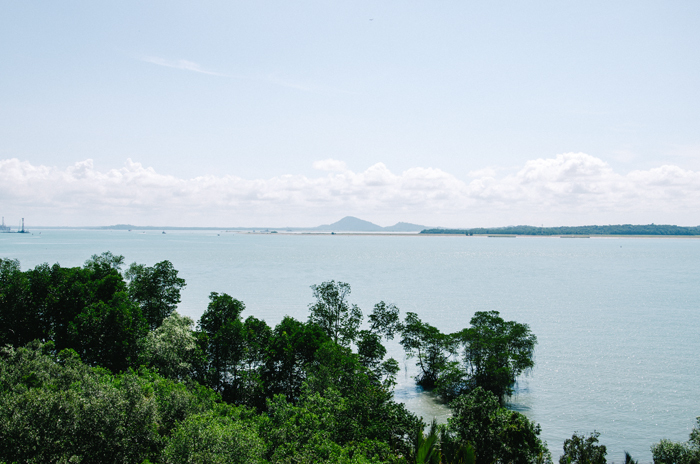 An art director and nature enthusiast at the Singapore advertising agency my husband was visiting took us on a getaway to a little island just off Singapore's coast called Pulau Ubin. We hopped on a small, old bumboat that ferried us to the island. As it churned across the aquamarine waters it seemed to slowly transport us back in time. Once on the island, we rode around in a small submarine yellow bus. I'm convinced it came from the Lost set. We rode and walked along the nature path. From the lookout, our guide told us we were looking across at Malaysia (I believe, geography is not my strong suit). Living in a very landlocked state, it amazes me to be standing in one country and be able to view an entirely different country. The mangrove trees and all their gnarly roots were weirdly beautiful. Some wild boars and babes trotted right past us. I subsequently trotted quickly to a high bench to stand on. This is one of the last surviving kampong houses in Singapore. Unfortunately, many of the island tenants were scheduled for eviction by the government when we were visiting. It was nice to see a slice in time that doesn't seem like it will remain much longer. I went halfway across the world because of a fireworks package label. True story. Here's how it goes: my husband won a design contest for a fireworks packaging design at his agency (also my former employer). He ended up picking Singapore from the places available, and I met him out there after the business portion of his trip was over. I'll be making a mini-series out of it and sharing the photos from our trip from time to time on the blog. I thought I'd first share about the architecture of the city because it's one of the things that stood out to me most. I realize that as I get older I sort of geek out about the architecture in different cities. It's another art form to appreciate, so why not?! In Singapore, I was surprised with how highly urbanized the city/state was and how modern and unique some of the structures were there. We visited the ArtScience Museum, which looks like a ultra modern lotus flower. An elevator at ground level brings you up to the top and the museum is actually in the elevated area. At the museum we saw the Art of the Brick Exhibition. 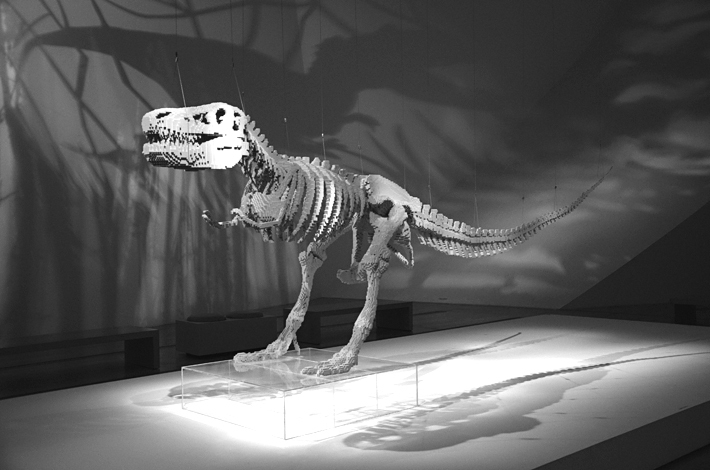 Both the dinosaur and swimmer are two pieces from the exhibit made entirely out of legos. It was an impressive exhibit, especially for my lego loving husband. The Marina Bay Sands was quite the structure. The fancy hotel infinity pool/observation deck on top sort of looks like a surfboard accidentally landed on three towers, no? 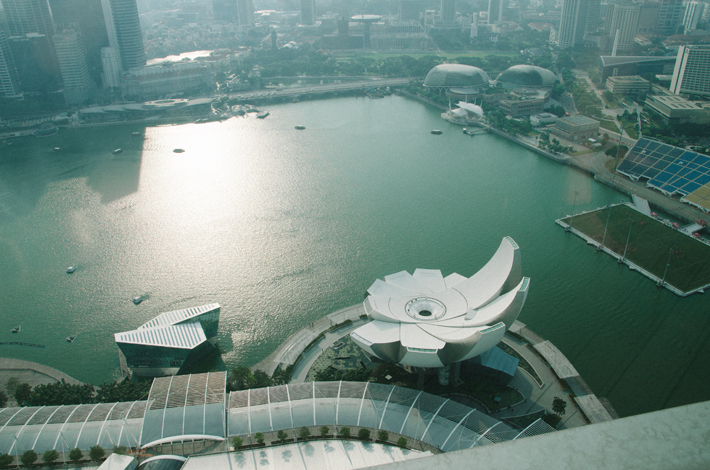 Looking down from the observation deck on the Marina Bay Sands is (from left to right): the Louis Vuitton store, the ArtScience Museum, the Theatres by the Bay (the two round domes) and The Float field. The Gardens by the Bay from above. I'll share more about our trip there later. The Helix bridge was a fun bit of twisted metal that reminded me of DNA strands. 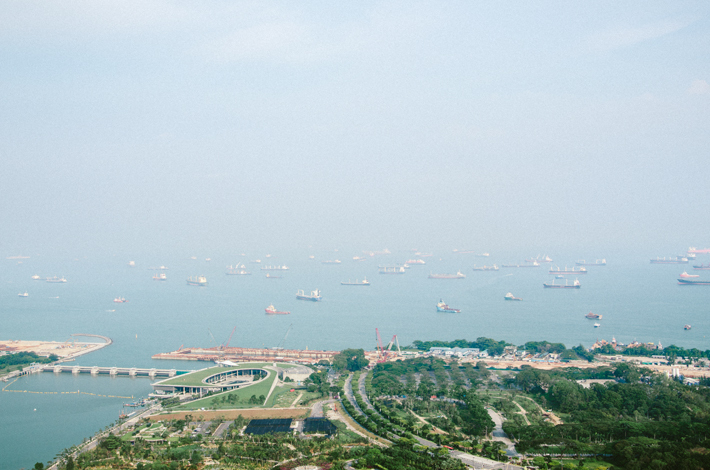 A view of all the ships, as far as the eye can see, in one of the world's busiest ports, the Port of Singapore. There's so much more architecture to see there, but these were a few of my favorites.